A surge in shipping crude oil by rail has unfortunately resulted in derailments. Accidents involving oil tank cars have become a growing problem in the U.S. and Canada. This disturbing trend has propelled the issue of faulty railroads and oil tank cars into the national spotlight, and both countries’ leading officials have taken notice, enacting laws that could not only improve safety but also result in employment opportunities for skilled workers with welding training. Transporting oil by rail has increased, as pipelines have proven insufficient to accommodate increasing oil production, resulting in “rolling pipelines.” With only about 57,000 miles of crude oil pipeline, oil companies have looked to the country’s 140,000 miles of railroad to transport the resource. The amount of oil that trains are transporting has increased since 2010. Derailments caused ninety-four percent of train accidents in the U.S. between 2001 and 2010, according to data from the Federal Railroad Administration. Broken rails or welds are the most common cause of derailments, followed by track geometry. The problem is twofold: broken rails cause derailments and faulty cars result in explosions and oil spills. On May 1, 2015, U.S. Transportation Secretary Anthony Foxx and Lisa Raitt, Canada’s Minister of Transport, announced new safety regulations for oil tank cars. These standards will require all tank cars built before 2011, otherwise listed as DOT-111, to be completely phased out within the next three years. Even the more rupture-resistant cars, or CPC-1232 cars, will be phased out by 2020. 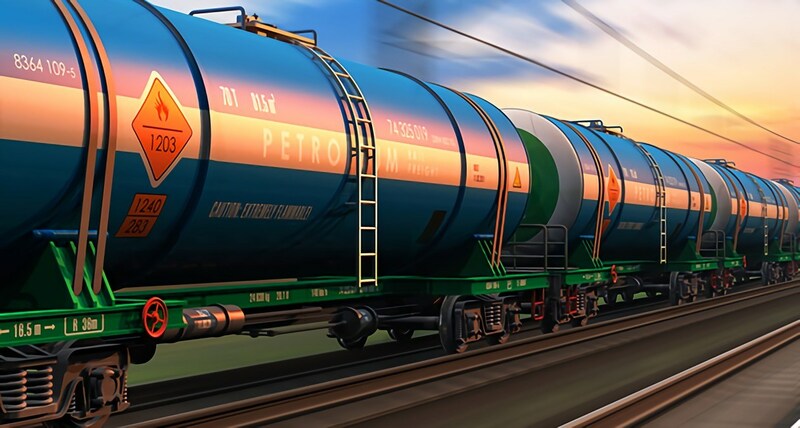 In addition to restricting oil tank cars to a 50 mph speed limit, new tank cars will be required to have thicker hulls, enhanced heat shields, pressure-relief valves and electronic pneumatic, or air-powered, brake systems (ECPs). A representative for the plant indicated that every person involved in the process would need to have some type of certification, including welding certification. Welders will be employed to inspect the welds, seams and liners of the cars to be retrofitted, as well as likely needed for other tasks associated with the retrofits. Of the 150 jobs the plant will create in the area, 65 to 70 will be given to welders. The tank car building industry’s inability to keep up with current orders for cars is one reason the plant is being constructed. Among the six tank car builders in the U.S., there are more than 55,300 cars estimated to be on backlog, which is projected to take close to two years to fill. New legislation attempts to make America’s rail infrastructure grow stronger and safer. With more than $2.5 billion estimated to be spent on retrofits alone, the law will likely result in job opportunities for welders. Hopefully, laws to address the broken rails and welds that cause the derailments in the first place will follow. Want to help strengthen American’s rail infrastructure? Contact Tulsa Welding School today to learn how you could become a welder in as little as seven months.